Recent Final Fantasy XIV upcoming patch some new screenshots were revealed on social media, why not to visit here to preview these screenshots. The Legend Returns is scheduled to launch on early October, the Legend Returns brings with it a new main scenario, as well as the alliance raid dungeon Return to Ivalice. The Legend Returns will feature a new dungeon set in the Drowned City of Skalla, as well as the new residential district Shirogane. 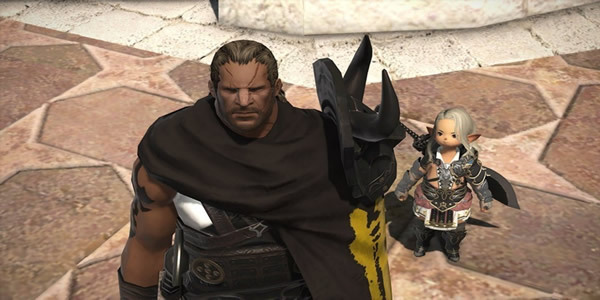 It's a good time to jump back into Eorzea and rediscover Ivalice when Final Fantasy XIV's 4.1 Patch arrives in early October. This is the latest major update since PS3 support ceased and the MMO's second expansion, Stormblood, released in June. This patch opens up housing in Shirogane, an epicenter of traditional Eastern Asian design. With this update, you'll not only be able to relocate your in-game home, but also be able to take full advantage of storage. The new patch will bring new main scenario quests, a Final Fantasy XIV raid, dungeon, housing and more. For an early glimpse at the upcoming content featured in Patch 4.1, source from here. There is bound to be more updates coming our way in the near future, as Final Fantasy XIV goes from strength to strength in the online gaming genre. There are more detailed patch 4.1 improvements in Final Fantasy XIV, stay tuned FFXIV4Gil. FFXIV4Gil are offering cheapest Final Fantasy XIV Gil and FFXIV Power Leveling to our clients. Nowhere else can you find such a great sale!